If you are growing any type of hair long short or just trying to keep the little bit you have. This Gift Package is for you. 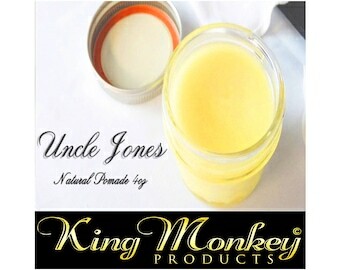 Uncle Jones Natural Hair Pomade will grow your hair rapidly with just a few applications. Apply as needed and watch the results you'll be amazed Fuller, Stronger, Healthier Beautiful Hair in just a couple days. 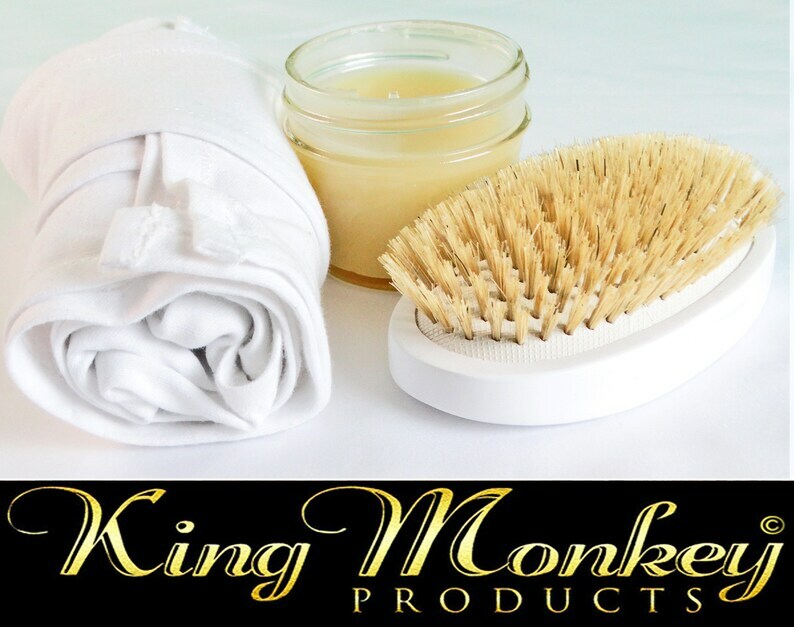 Hot Towel Treatment: use the Cotton Durag in place of the towel with uncle jones natural hair pomade and King Monkey Products Cushion Hair Brush for optimal results, Bristle Option Available. 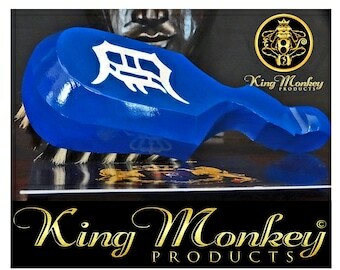 King Monkey Products Model 1776 Cushion Hair & Beard Brush is Perfect For Promoting Healthy Strong Vibrant Beautiful Hair. 1776 is ideal for Extensions Wigs Weave Natural or Synthetic Hair 360 Waves Beards and more. All around, a Great Unisex Hair Brush for the Entire Family. 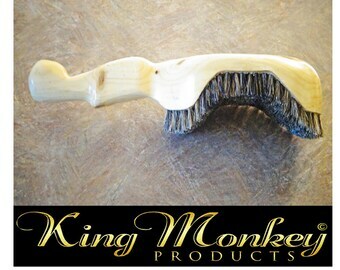 Top Quality Pure Asian Boar Bristles perfect for releasing Natural Oils promoting Healthy Vibrant Beautiful Hair. Use Uncle Jones Natural Pomade after Haircuts, Showers, or before you go to sleep. Apply a small amount to palm and rub continuously until the pomade starts to warm. Then Apply to head if desired tie hair down for styling and maintenance. This method works great with Du-Rags, or Hair Wraps helps keep hair in place while you sleep promotes deep luscious 360, 720, 540 wave pattern when this method is applied. GROWS HAIR FAST!! !